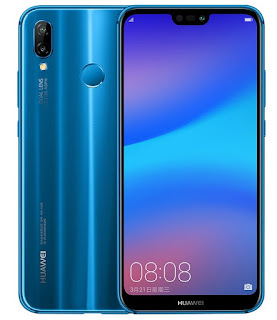 Huawei P20 Lite Full Phone Specs, Features, Images and Release date: Here is another smartphone released by Huawei alongside the other similar Android phones we saw yesterday on this blog - Huawei P20 Pro and Huawei P20. The Huawei P20 Lite comes with a fingerprint sensor, Android 8 Oreo, 4GB Ram and 5.84 inches display. The battery is also appropriate for a lite version, as it supports fast charge. Here is the full phone review. Price: €369 / Rs. 32,000 / $455 USD.